Paris - Fewer children are dying before their fifth birthday and although humans are living longer than ever before, one in five deaths last year were linked to poor diet, researchers said Friday. More than 1.6 million people in poor countries died in 2016 from diarrhoea caused by contaminated water and food, while another 2.4 million succumbed to lung infections that mostly could have been prevented or treated. Another two million mothers and newborns perished due to complications at birth that rudimentary health care could have largely avoided. AIDS and tuberculosis each claimed more than a million lives, while malaria killed over 700,000 people, according to half-a-dozen studies published jointly in The Lancet, a leading medical journal. But trend lines have declined over the last decade for these communicable diseases. The same cannot be said for viral hepatitis, which killed 1.34 million people in 2016 -- 22 percent more than in 2000, according to the World Health Organization. "Hepatitis deaths can be avoided," said Raquel Peck, CEO of World Hepatitis Alliance, pointing out that no global facility exists to combat the disease and that most sufferers don't even know they have it. "Globally, only five percent of people living with viral hepatitis are aware of their condition." Nearly 55 million people died in 2016, while 129 million were born, leaving a net gain of 74 million humans on the planet. Global life expectancy last year was 75.3 years for women, and nearly 70 for men. The Japanese averaged 83.9 years, while citizens of the Central African Republic beat the odds if they make it past 50, a discrepancy of more than three decades between highest and lowest lifespans. Nearly three quarters of all deaths in 2016 were caused by non-communicable diseases, with heart disease related to restricted blood flow -- 9.5 million deaths -- the single biggest killer of all. That's an increase of nearly 20 percent in a decade. Similarly, mortality due to another so-called "lifestyle" disease, diabetes, went up by more than 30 percent over the same period to 1.4 million. Cancers -- led by lung cancer -- are also on the rise, accounting for nearly nine million deaths in 2016, 17 percent more than in 2006. Tobacco is blamed for 7.1 million of those fatalities. Startlingly, the study finds that -- combining the two extremes of inadequate nutrition and unhealthy eating in richer communities -- poor diet is linked to one in five deaths worldwide. "Among all forms of malnutrition, poor dietary habits -- particularly low intake of healthy foods -- is the leading risk factor for mortality," researchers concluded. The studies, drawing from the input of 2,500 experts, also showed that one in seven people -- 1.1 billion -- are "living with mental health and substance use disorders". Major depression ranked among the top ten causes of ill health in all but four of the 195 countries and territories covered. Mental health services are chronically underfunded in most nations, especially in the developing world. In China, only six percent of people coping with common mental illnesses such as depression or anxiety disorders or with substance abuse and dementia seek out a doctor, earlier research has shown. Less than one percent of national healthcare budgets in China and India is allocated to mental health. The global population afflicted with Alzheimer's or Parkinson's disease stood at 2.6 million worldwide in 2016, a more than 40 percent surge from only a decade earlier. Alcohol and drug use accounted for some 320,000 deaths, including 86,000 for opioids. Opioid abuse -- mostly pharmaceutical -- in the United States has reached epidemic proportions. 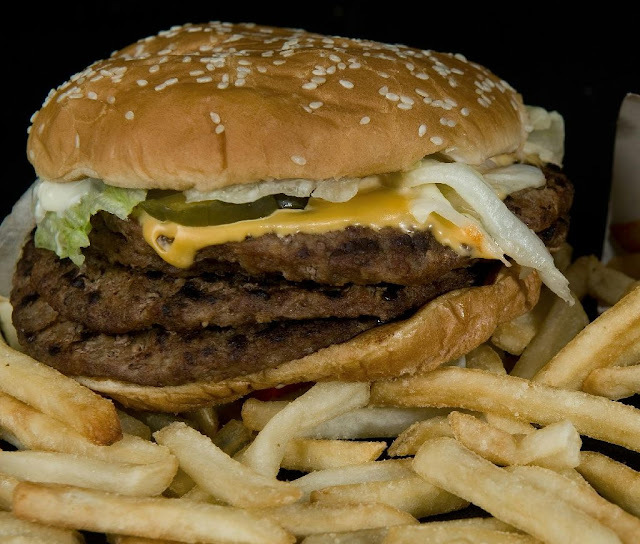 "We are facing a triad of trouble holding back many nations and communities -- obesity, conflict and mental illness, including substance abuse disorders," said Christopher Murray, director of the Institute for Health Metrics and Evaluation at the University of Washington in Seattle, which centralised and analysed the millions of data points used the studies. Deaths attributed to conflict and terrorism -- notably in North Africa and the Middle East -- exceeded 150,000 in 2016, a jump of 140 percent compared to a decade earlier. One bright spot was the better-than-expected health performance of several countries -- including Ethiopia, the Maldives, Nepal, Niger, Portugal and Peru -- that made outsized improvements in relation to national wealth, or GDP. "These exemplar countries may provide information on successful policies that have helped to accelerate progress on health," said Murray. In several cases, that headway stemmed in part from the rollout of antiretroviral treatments for HIV/AIDS. Fewer children are dying before their fifth birthday and although humans are living longer than ever before, one in five deaths last year were linked to poor diet, researchers said Friday.